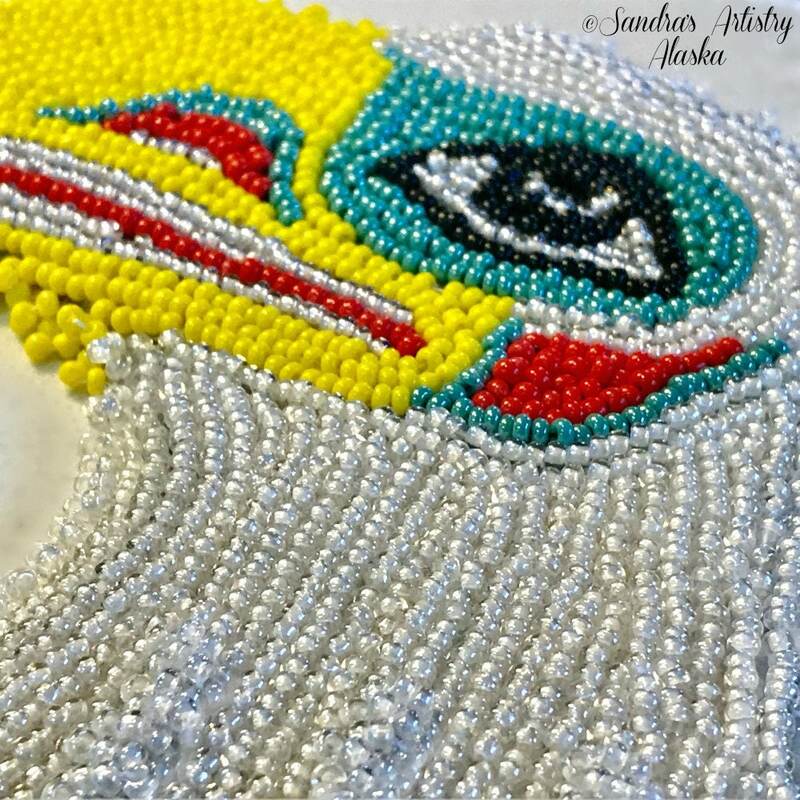 Alaska Tlingit Beaded Bald Eagle Applique-4x4-1/2" (appx in longest lengths) in Czech Glass Beads. The design is provided by my loving brother, Alaska Tlingit Master Carver-Fred Bemis; how great is that!? 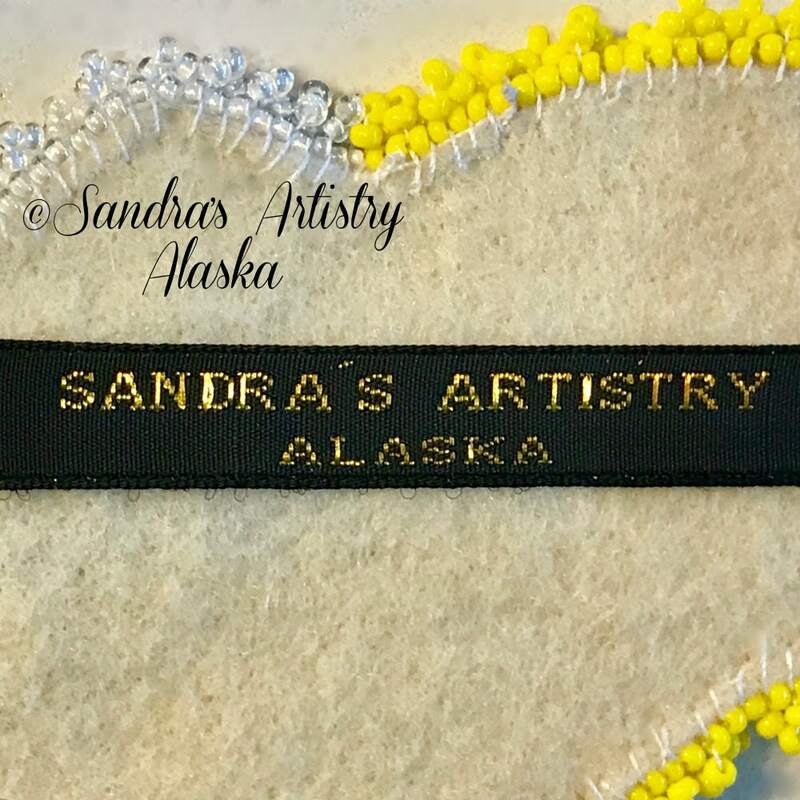 The piece is beaded in size 10 Czech glass beads. 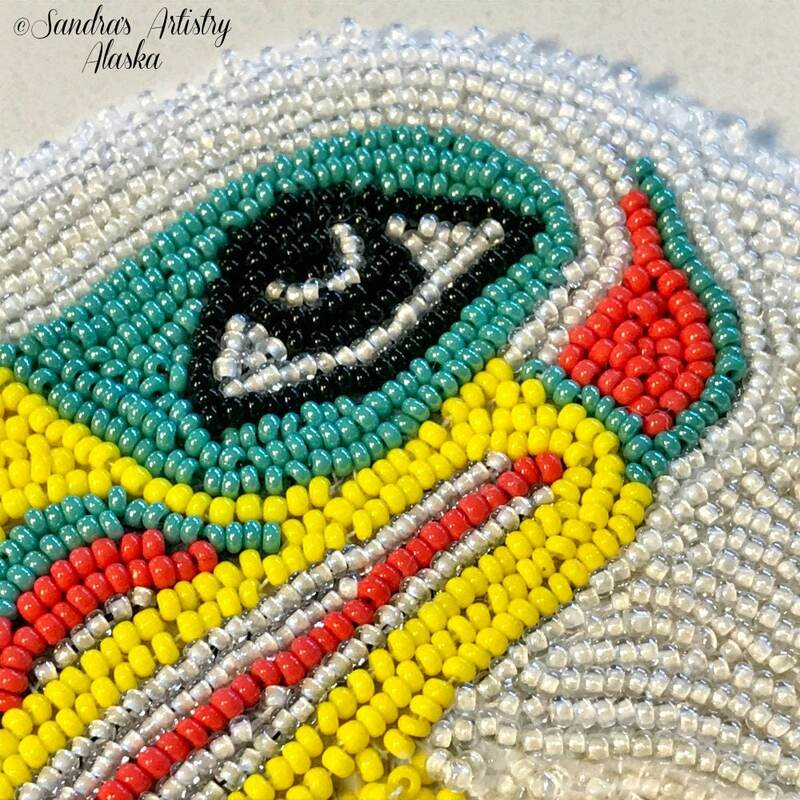 This applique would be suitable as a headband centerpiece, belt, or regalia costume addition. 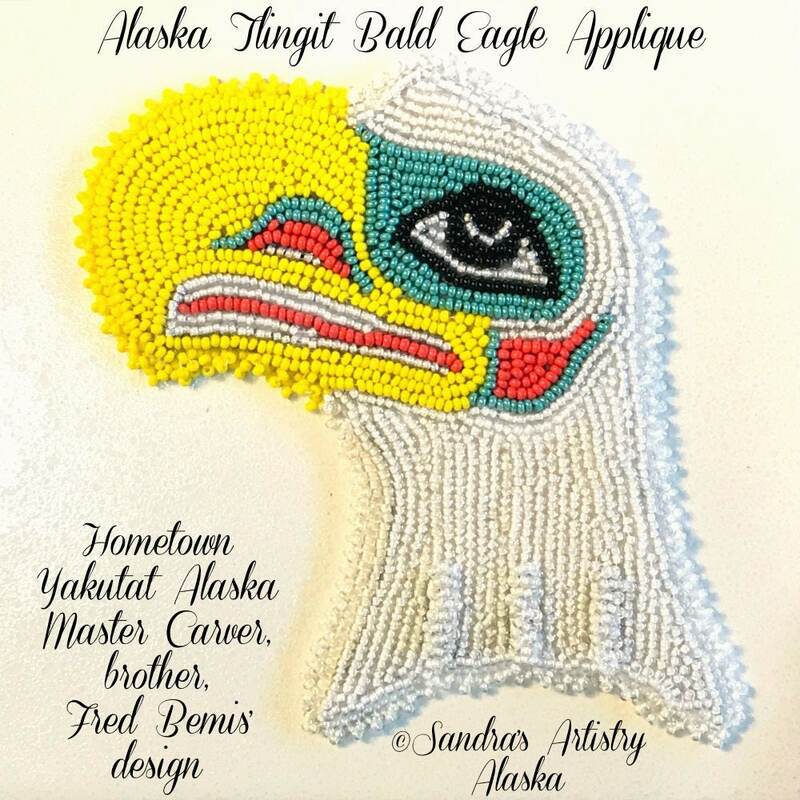 I am a born Alaska Tlingit Native from Yakutat Alaska and we love our culture.